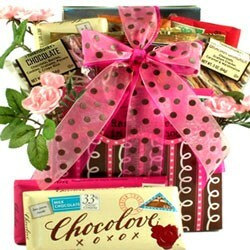 Here's one fantastic Valentine's Day gift! 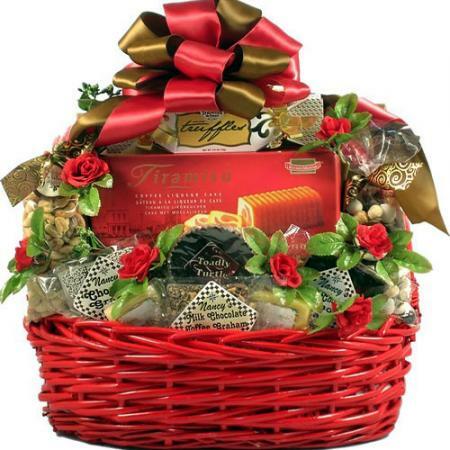 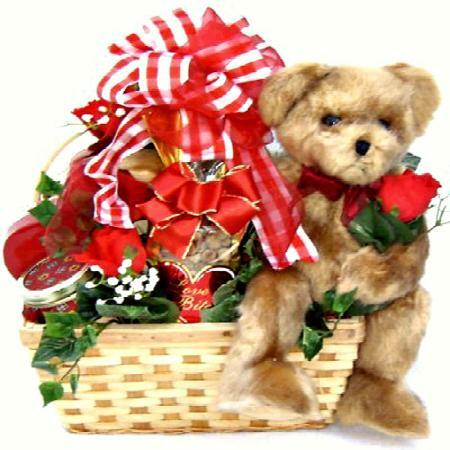 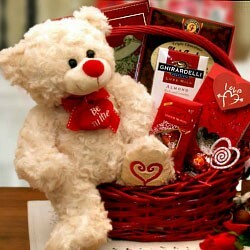 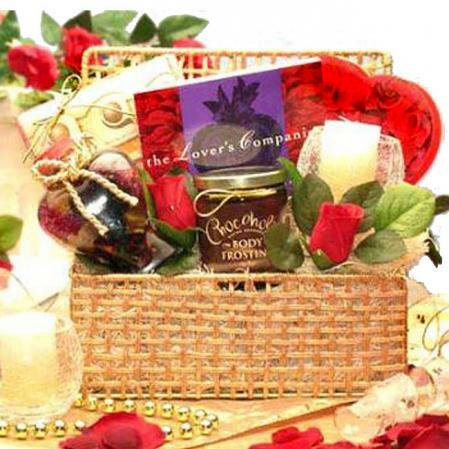 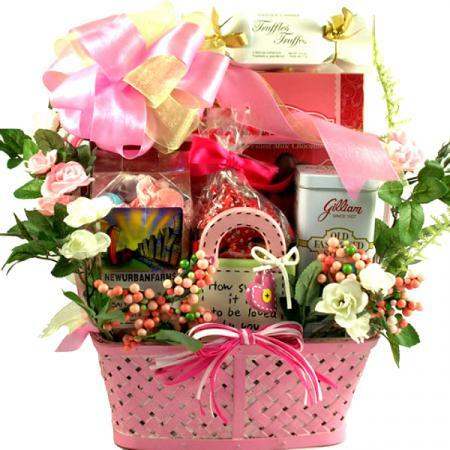 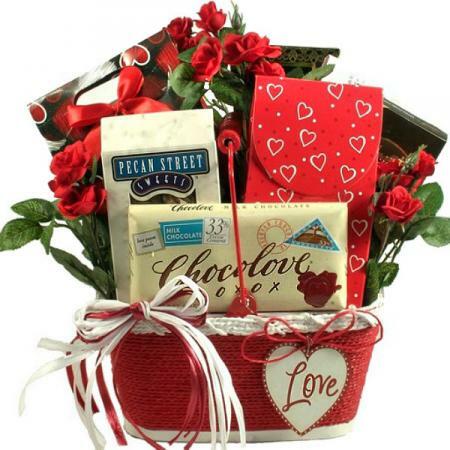 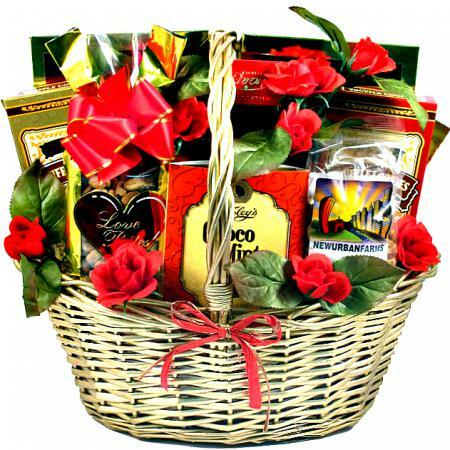 Send this personalized Valentine gift basket sure to please her when it arrives with her name on it. 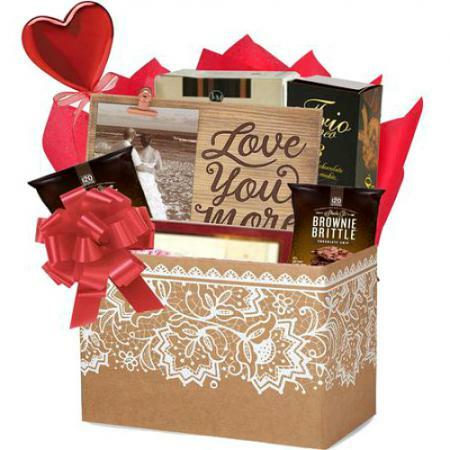 This very sweet Valentine's Day gift basket features a mini ceramic planter, keepsake ceramic plaque with attached dry erase marker for writing daily love notes or messages and an incredible selection of delicious goodies! 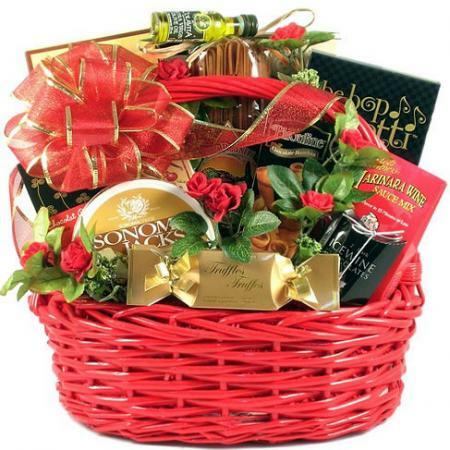 This gift delivers quite an impression! 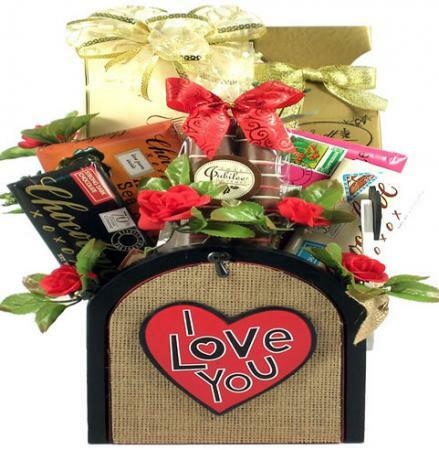 It features a mini ceramic planter, shaped like a purse, filled with Chocolate Hearts and Truffles, that reads "How Sweet It Is To Be Loved By You"; a matching keepsake ceramic plaque with attached dry erase marker for writing daily love notes or messages; Salt Water Taffy; canister filled with Old Fashioned Fruit Flavored Candy Sticks; Caramel filled Chocolate Hearts; Double Chocolate Crisp Cookies; Buttercrunch Almond Toffee; All Natural Dark Chocolate Raspberry Truffles; Sugar and Spice Pecans; Sweetheart Candies; and decadent Chocolate Truffles! 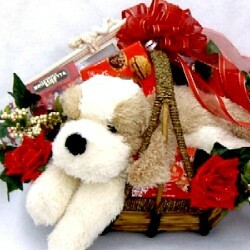 Trimmed with silk roses and topped with a designer bow, this is one fantastic Valentine's Day gift!